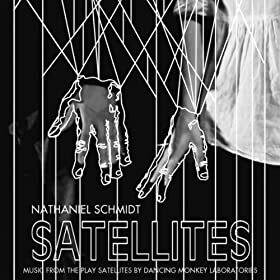 This new music will debut as part of Meghann Michalsky‘s new choreography, REAWAKEN, that will premiere at Springboard Performance’s FLUID FEST on October 26th and 27th, 2018. Three people, actors, characters meet in a space that looks similar to a theatre stage. Grand statements are made, running on the spot, arguing, debates, agreements and declarations power this play from start to stop with a rhythm and pace that will leave everyone out of breath. **All Characters are described as gender/age neutral (They/Them). Although they might lean traditionally one way or another, directors can do what they wish. **If running is not possible, the “running on the spot” can be replaced with any physical activity/gesture depending on ability of the actor. In the time honoured, Rock&Roll tradition ( See Kiss ), The Monkeys are going to spend a little time on some solo gigs: various theatre, dance and music things, teaching – across the freakin’ country, community building and more schoolin’. Monkey works will arrive, here and there, as art-things are hard to stop doing, but nothing full-on Dancing Monkey as we looks for some funding to take our dance-moves to new places; where we can continue to challenge ourselves creatively, and evolve artistically. Pic by Wise Photo – From Late Night at the Plaza. When we talk about story as a general concept, we often look to the past; Myths, legends, history, real and manufactured. The structure of these stories goes back thousands of years: Joseph Campbell and the 12 stages of the Hero’s Journey taught us to define archetypes, the steps leading the ordinary person through trials and becoming a Hero. In our more recent past, Christopher Vogler’s mid-1980’s interpretation of Campbell’s work in a now-famous 7-page memo at Disney film studios has influenced much of Hollywood for the past 30+ years. Through conversations with my students, I find that most of the younger generation has a subconscious understanding of traditional western story structure. They’ve watched enough movies to understand how a story arc is supposed to feel. So, their learning process is more about how to tell their own stories truthfully, honestly, without the need to fabricate any extra drama. I like to imagine that a story is anything with a beginning and an end. That’s it. What happens in between is up to the story teller. A story should take you somewhere, but that arc can be thin, that journey can be short. It should be more concerned with the impact of imagery than where it might be going. Creating an emotional arc is just as important as creating a literary one. Here I am consciously and deliberately choosing to shy away from any hard-academic definitions because they tend to adhere to certain rules, certain structures, and by extension, may limit the kinds of stories that are told. As a playwright, I spend most of my time buried in story. Whether that’s as a writer getting lost in my own worlds or as an instructor and dramaturg, guiding and helping others discover their own. Story is everywhere and in everyone. It is a 30 second television commercial, a sports rivalry, a poem, a painting, an Instagram post, a walk into the woods, a night out to remember – good or bad – you can even find it on someone’s face or hands… Story is the simple act of existing. They need not all be tall tales; they can be simple truths. What concerns me as an instructor, is when we spend so much time in the past, lifting these old stories up as important or untouchable, that we stop paying attention to our own stories. The cannon, like history books, omits more than it includes. I work in a theatre department and the material we use is often stuck in the past, whether that’s a Greek tragedy or Shakespeare, and personally, I have little use for either. I’ve often joked that every time someone mounts a production of Shakespeare, a new play dies. And if I say that in a room full of theatre folks, I’m usually the only one laughing. I’ve often joked that every time someone mounts a production of Shakespeare, a new play dies. Many, if not all, of the canonical tools from Aristotle and Campbell still very much apply, but as we experiment, learn, and grow, and make room for marginalized voices, these tools can be reformed, rearranged, and if it’s a choice, outright ignored. Rules really do scream out to be broken. New stories are disruptive, there is danger in the unformed and the raw and they demand more from an audience and, I believe, are more powerful. The word ‘witness’ hit me first. This idea that we are not passengers. We are active and it’s a choice to NOT witness something. We are in fact always present, but there are various levels of being present, due to any number of elements, whatever our situations, whatever our challenges. We might not like what we see, but we are there. This doesn’t always have to be about the negative or some version of injustice, because we are also present during the good times, times of joy, those times when everything seems to fall into place, even if only for a few minutes. We have to be present for both ends of the journey. As I sat with this quote for a while, I shifted to the words “nothing is fixed”. In the context of story and history, if we do go back to those myths and legends, or simply to a history book, we should always view them through a contemporary and individual lens – if we need to look at them at all. As we learn, we must question. Those words also connected back to my classroom, when I tell students that no matter how similar their story might be to another, it is completely unique because it’s coming from them. Themes repeat, structures can remain stationary, but the content is never fixed and changes with every passing day. I teach a class called Performance Creation (here at the University, and one of the assignments requires the students to create a personal narrative. A short performance/story that comes from their own life. It can be something powerful and life changing, or it can be something seemingly banal but important to them. The goal is not to create something that will change the world and stand side to side with legends, or reveal a universal truth; rather, in the intimate moment of sharing, this narrative should be an offering of themselves, a glimpse into their worlds. I feel most students instinctually have an idea of what they might share, but that gets suppressed by fear, doubt and the pressure to feel what they’re sharing is ‘important’, they struggle, wondering if their idea has value. When I first encountered this, I was taken-aback, how could anyone think their stories don’t have value? Upon reflection, I understood. We are accustomed to being told what is important, from so called great works of art to world events. Some things get elevated while others are simply passed by. I too struggle with this as a writer. Are my own intentions too insular or personal? Do I chase shinny topics to capitalize on their timing? Even after spending months developing something, I still wonder if what I’ve created means anything to anyone but me. Last spring, I had a student in my performance creation class who presented her personal narrative with stick figure drawings, real x-rays and power point. And it was beautiful, simple, honest and personal. She told the story of her scoliosis. How her spine was slowly curving, causing her pain and to miss school, how some of the other kids made fun of her. Her slides created a sort of animation as she slowly clicked through the images. Having first immersed us into her stick-figure world, she then presented a slide of her actual x-ray with all the pins in place up her spine to help her stand upright – bringing us back to a reality. She finished the performance by standing in front of a blank slide and announcing, lit only by the light of the projector, “And this is me now”. A simple story, told with simple technology, ending with her being present with her audience. Through her performance journal, she explained why she chose this particular container to tell her story: as an economics student she was comfortable using PowerPoint as her main presentation mode; she chose stick figures because of how she felt like a stick; and then she brought it back to her, to the human. It was her story, told through her lens. When we’re surrounded by story, it can cause us to over-analyze what’s ‘important’ or ‘cool’, chasing the outrage du-jour, which can lead us to try and tell someone else’s story instead of our own. Even with the clearest of hearts and the genuineness of our intentions, we have to be aware of whose story we’re trying to tell. I will hazard a guess that we’re all relatively left leaning progressives here, and we might want to fight against injustice and be warriors of some kind, make the world a better place… I am no different, but look at me; I am a white, straight, cis gendered male. For centuries, someone who looks like me has been writing stories they had no business writing. That said… I recently finished a play on the Freedom Riders of the Civil Rights movement – I’ll let that sit there for a moment… I started writing this play because I was passionate about the subject matter, wanted to do whatever I could to raise the profile of the Freedom Riders, who were for the most part, college students who had no business being as courageous as they were, and I wanted to bring that knowledge to the students I was teaching to show them they could change things. I wrote the first act 5 years ago, then stopped – I finally realized that this was not my story to tell. I could tell it, but I shouldn’t, not how I was originally envisioning it – as a straight history play. I understood that I needed to make room for someone else to tell that particular story. So, I put it away, for years. But the play didn’t want to leave me, so I looked at it again and I had to take a hard look and ask myself ‘Why’ am I compelled by this material? The answer came in the discussions that Theatre has been having for the past few years – much too late, but at least they are happening – around diversity not just on stage, but on the page and in the buildings and administrations. I heard much support for change, met many self-described allies but I also heard some resistance from those who believed their do-good intensions allowed them to be in every room, in every conversation and say anything they wanted, because it was all for the greater good, even if their voice took the place someone else’s we needed to hear from. I had to look at my own reflection and ask some hard truths. Was I taking up space? Was I trying too hard to be a part of the conversation? And If so why? I didn’t arrive at any definitive answers to these questions, but I continued to ask them, to be aware of who I am within different conversations. Ingesting all this for a few years, I found my angle and the play was removed from the drawer. The 2nd act become about a challenge to privilege, to expose hypocrisy and ignorance masquerading as the status quo, to make the comfortable allies uncomfortable. A challenge to all of us to confront our issues and beliefs. Will the play ever be produced? I don’t know, but it ultimately became about me, and my voice, not a ventriloquism act. There are countless stories that need telling, but sometimes the telling of those stories can be exploitative depending on who’s telling them. Even with the clearest intentions, some stories aren’t yours to tell, and it takes deep reflection to find which stories are yours – which stories you are witness to. Was I taking up space? Was I trying too hard to be a part of the conversation? I’ve come up with a simple literary equation: What + Why = How. If you know what you’re trying to say, and why you’re trying to say it – often times, the shape of the story, the ‘how’, becomes evident on its own, is born out of the material. But it can also work the other way, by starting with imagery, a container, and figuring out what kind of story can fit inside it. Each side of the equation is working together. The shape or container of that story can be anything you wish it to be. I try and encourage my students and myself, to figure out a way for the container to become a part of the content, to mirror the material. I often struggle to find a way to say what I want to say without losing sight of the story. It’s a delicate dance between zeroing in on the details, on the intimate moments and pulling back and looking at the narrative as a whole. We become our own focus pullers, constantly changing the lens to find out where our attention should be. Sometimes when we focus too much on an issue, we forget the human, and the human is how we connect. How can we create stories that are not simply lectures? What I have come to understand is that in the specific we find the universal. By being as honest as we can be in the stories we tell, connecting our intentions to fully realized characters, and to ourselves, we can then allow an audience to absorb what they can and layer in their own images to make these stories personal to them. By being extremely personal, we can shine brighter lights on the issues that matter to us. By being specific about the stories we’re telling, we discover that we’re not alone in our thinking, and can reach deeper into the soul of the audience. If we’re too vague, too careful, try too hard not to offend, or disrupt, things get watered down and the message becomes too simplistic or lost all together. As creators, as students, as audience members, we are the witnesses of the world around us, and through our filters, we translate that back as a reaction and a reflection. We must not only encourage others to tell their stories, but we must encourage ourselves. No matter what form that story takes, it has value. No matter if it is deemed ‘important’, it has value. Does anyone need to pay attention, no, but an audience of 2 or an audience of 2 million does not make one thing more important than another. Some stories can be epic, span generations, centuries, can encircle the globe and beyond: War, religion, and politics. Other stories, can be so small they only exist inside of you: like the unexpected touch a hand, or the hurt you feel when your heart breaks. Whatever the size, each one, depending on your perspective, is equally powerful. So, we must shine lights into the darkness, lift others voices, share stories of human interaction. We must witness the world around us, with an awareness or who and where we are. We must witness injustice but we also must be witnesses to joy, for even in the best of times for some, others will be suffering. In the darkness, we can find beauty that we never knew existed. Yes, there’s a big bad world out there filled with wonder and dangers, with countless stories to tell, but there’s an equally big world within ourselves. Our own obstacles, our own demons, our own delights and passions. We must witness those stories, through our own lenses, a unique lens that no one else possesses. KARL NIMENI – The Show. For those of you who could not make the performance, grab a cafe, or a drink, settle in, and check out the show.